The Stranger Beside Me is a true crime novel that I had been meaning to read for ages. With the new Ted Bundy movie starring Zac Efron coming out, as well as the Netflix docu-series, I finally decided to pick it up. I ended up having very mixed feelings about it. It was interesting and very informative, but I am not sure how I feel about Rule’s personal narrative that she includes throughout the book. I understand that she was friends with Bundy so it was difficult for her to accept that he was a serial killer, but it would have been nice if she was a little more introspective and pointed out some of the red flags that she missed in hindsight. I also have to wonder if she exaggerated her friendship with Bundy and if she used him in a way because she knew it would be a good story. 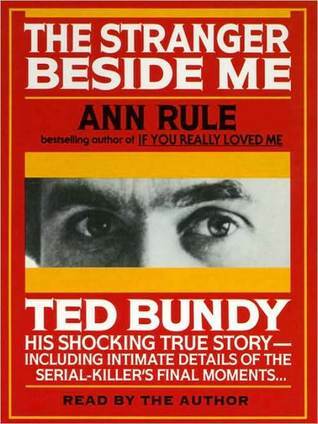 That said, it was a more personal perspective of Ted Bundy which I thought was fascinating. I believe that this book, along with the Netflix docu-series, will tell you all you need to know about who Ted Bundy was. Now, I would love to learn more about his victims and their lives. Heavy was everything that I look for in a memoir. Kiese Laymon bears his soul and does not shy away from sharing his truth. I have not read a memoir this raw since Heart Berries by Terese Marie Mailhoot. Laymon’s memoir in written as a letter to his mother, and you almost feel guilty reading it because it feels so personal. 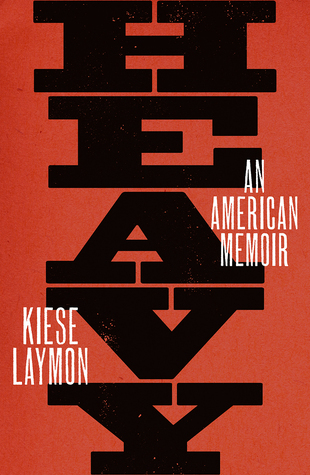 Once you read Heavy, and you really should, I highly recommend you go to Laymon’s blog and read his mother’s response. It brought tears to my eyes that she ends her letter with “I hear you.” Aren’t those words we all want to hear? In 256 pages, Laymon takes on a lot of difficult topics, from his difficult relationship with his mother and her expectations, to his experience with sexual violence, and his relationship with his body and food. He talks about his university career, and the prejudices that he faced there. He also owns up to his own mistakes and shortcomings. There is so much to gain from Heavy, and it is incredibly written. 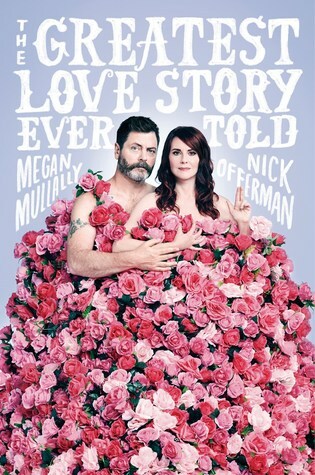 If you do not know or do not care about Megan Mullally and Nick Offerman than you will not care about this book. If you are like me and you adore them, I think you will love it! They are both so great individually and as a couple. I loved reading their perspective on life, love, careers, etc. I was not expecting to come away with so much advice and insight! Like you would expect, it was absolutely hysterical. It was written in a unique way- like a transcript of their conversation. I could see that not working for some people, but it made the book feel much more genuine in my eyes. I think the audiobook is probably fantastic and I might listen to it as well in the future! I LOVE MEGAN AND NICK! I’ve been wanting to check that one out. Also The Stranger Beside Me, but not sure it’s worth my time. 🤔 Great post Kristin ! I think both are definitely worth reading/watching! I have never seen someone so egotistical. It is very chilling! I read The Stranger Beside Me many years ago, back when it was uncommon for journalists to inject their personal points of view in their work. I think this was Rule’s struggle…how to tell Bundy’s story without making it be about her. I had a similar reaction to yours initially but later, after a lot of reflection and research, I realized that this book provides more insight about Bundy than any other I’ve read. I came to realize that perhaps she just gave us that insight without claiming personal attribution, which adds more credibility to the book. I completely agree! I loved having her perspective because she knew him but I wish she explored her complicated feelings about him more. I would have loved to have seen her being a bit more reflective. I loved Ann Rule’s books and The Stranger Beside Me was my favorite. She used to do interviews on different crime tv shows and went into a lot of detail with Ted. I do believe she was honest about their friendship. She really struggled with seeing how he was evil because he was so different around her. But he was like that with a lot of women. He was charming and it fooled a lot of them. I can’t imagine finding out that someone I considered a friend was a killer. I read most of her books, but haven’t caught up on the last few. The Green River killer one was good, as was Small Sacrifices. One thing I loved about Ann’s books was that she spent a lot of time talking about the victims and the detectives/lawyers. She never wanted it to only be about the killer. I appreciated that a lot. Not all true crime authors I’ve read have done that. I would like to read more of her work! I do appreciate when a true crime novels talks about the victims. I can’t imagine what it would be like to find out a friend is a Serial killer. I just wish took it a bit further and looked back on it reflecting on signs she missed etc. I probably should watched some of her interviews! I do wish she would have done that, too. But it’s possible she did and it was cut from the book? So hard to say. I know she still struggled years later with her relationship with him. She used to work alone with him. I don’t think anything ever seemed off. So scary. I just researched more about her and I would love a book about her life. Before she died her sons were being charged with stealing $100,000 from her. Seems like she had some challenges throughout her life! Oh wow! I had no idea. I know her daughter writes ghost books, but I had no clue on her sons. I haven’t read any true crime in quite awhile. I started reading them in high school and went pretty strong with them for a good 15 years. Looks like I need to catch up on what happened with Ann before she died. Thank you for the info. I agree that a book about her life would be amazing. I also enjoyed Heavy when I listened to it on audio. Looking forward to reading his mom’s response on his blog – thanks for sharing! I think reading her response adds a new layer to the memoir! Glad you also enjoyed Heavy! I can’t wait to see what you think! I love them both! I also felt mixed about The Stranger Beside Me. It was compelling but not everything that I wanted to know. I also would love to read something that focuses more on the victims’ lives, but I kind of have the feeling that’s kind of a more recent way of writing true crime? Great to read your thoughts on Heavy as well…I haven’t read it yet but it seems like a must-read. I think you are right about focusing more on the victims being a new thing. It would be interesting to see if a book like that comes out in the future. I am interested to see what you think about Heavy. Truly powerful! I tried watching the Ted Bundy docu-series, But was so horrified (and this was only 6 minutes in) that I just couldn’t continue. I think I’ll settle for this book instead, I hope it isn’t too gory. It is really creepy! The book has some graphic moments for sure but it is interesting and more about who Ted Bundy was as a person than about his crimes.